We don't need to remind you that Dark Souls is an excellent game, so we're not going to sit here and reel off everything you already know about it. We're just going to cut right to the chase and give you the information you're looking for. Blight Town is no longer, er, blighted by poor framerate issues. The whole experience now runs at a super smooth 60 frames-per-second no matter what gets thrown at you (both literally and metaphorically). In our 30 or so hours with the remaster, we didn't notice a single drop, though we should note that we're playing on a PS4 Pro. So technically, this is an incredibly competent port, but what about the rest of it? Well, we still had a copy of Dark Souls on PS3, so could compare the two and can safely say that the remaster does look a lot sharper. Textures that were previously fuzzy are now razor sharp, there's nary a jaggie in sight, and the not-quite-4K resolution is very impressive on a 4K TV. The most notable improvement, though, is in the lighting and effects. Crush a soul and the ensuing effect is so gorgeous that we took a moment to appreciate it every time we got the opportunity. The same goes for flickering torches, sunlight cascading through the clouds, and the flame, water, and lightning that monsters regularly squirt at you. Character models are also improved – particularly in the wardrobe department. It's clear that every piece of armour has been retouched, and the same can be said for the weapons. Everything just looks an awful lot sharper, and you'll notice details you couldn't make out in the original as a result. At this point you'll notice that we haven't thrown much praise at the environments and general world, and that's because it's not quite so drastic an improvement. Now this could be a deliberate decision on the developer's part. 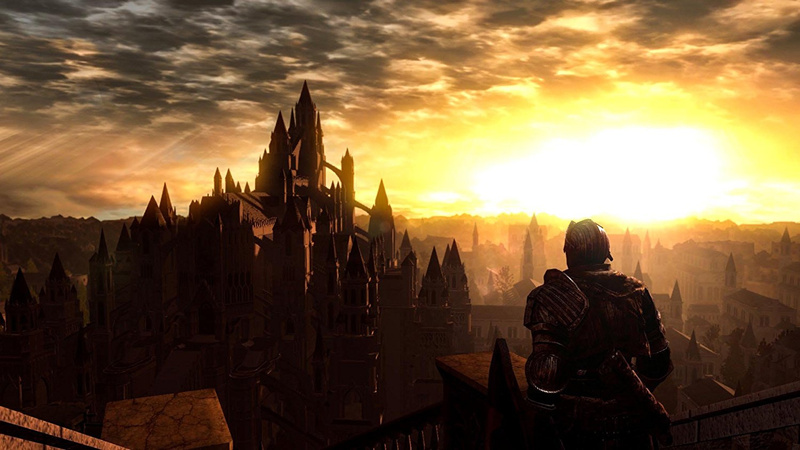 Dark Souls is a very well-loved game, and the developers could have prioritised ensuring it remained the same experience while improving in the areas that wouldn't raise as much ire. If that's the case, it's very much a job well done. 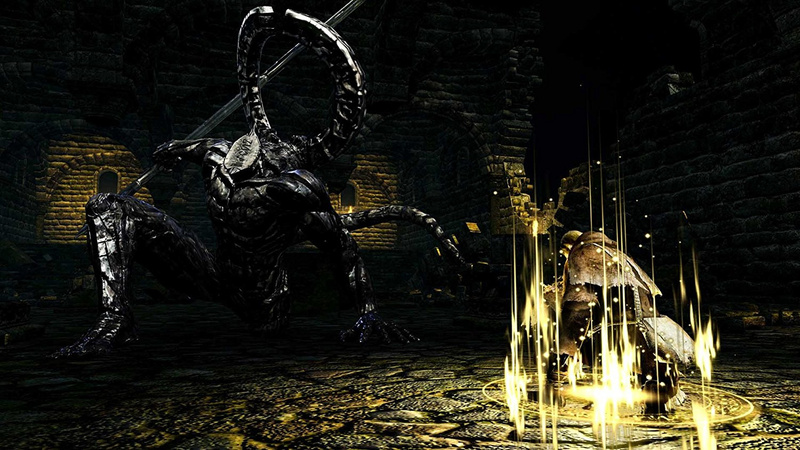 Those who played Dark Souls back in the day will feel at home with the murky visuals of Darkroot Basin, and the near pitch black eeriness of Blight Town. But it's a decision that will polarise the player base. There are many that joined the Souls bandwagon with Dark Souls III or Bloodborne, and will find the drop in visual fidelity a bit jarring, disappointing, and perhaps even off-putting. There's also a general jankiness that you just don't see in the more recent iterations. For example, we've been killed through walls on several occasions, and we've fallen off platforms that we were nowhere near the edge of. Sure, Dark Souls is designed to be a punishing and difficult experience, but even the best of players will feel a bit of frustration when a death just wasn't their fault. So your relationship with Dark Souls Remastered really does hinge on your relationship with the original. If you loved it back in the day and can't wait to dive back in, you'll be in heaven. The remaster does an absolutely brilliant job of feeling exactly like the original, while stealth-fixing a bunch of the problems – most notably Blight Town and its framerate. 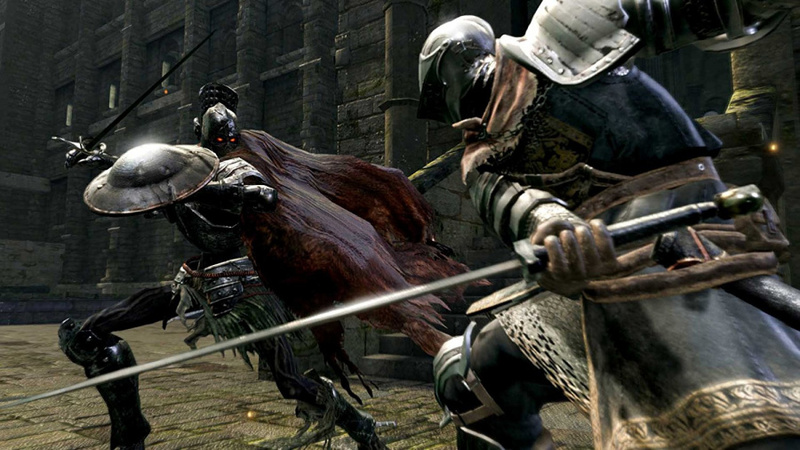 However, if you joined the Souls bandwagon with Dark Souls III or Bloodborne, your reaction may not be so favourable. While the original is still an absolutely excellent adventure, and perhaps even still the finest Souls in terms of design and pacing, it does have a jankiness to it that that has since been ironed out. It's also a lot less forgiving than the later entries, which can lead to frustration. 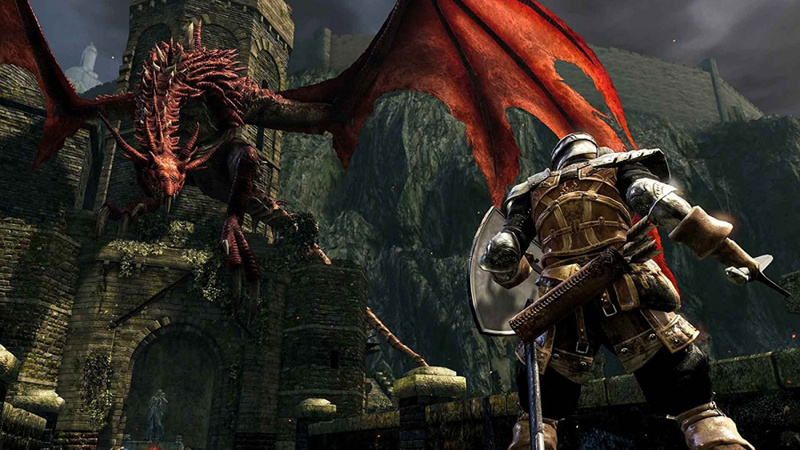 Ultimately, we recommend it – it's Dark Souls. Just be aware of what you're getting yourself in for, which entirely depends on your experience with the original. Dark Souls Remastered is an excellent remaster of a standout entry in the Souls franchise. Those who played the original will feel right at home, and will really appreciate the visual and technical improvements – particularly to Blight Town, which now runs at a butter smooth 60 frames-per-second. However, those that weren't there at the beginning may not appreciate the inferior visuals and general jankiness that later entries have all but ironed out. So a fantastic game but a lazy remaster? If only Bluepoint had got their hands on this. It would've been a blummin' masterpiece. I have this preordered and looking forward to playing it as soon as I platinum gow... I own DS2 and 3, and BB and they are some of my favorite games. I have never played this one before though so I can't wait. No thanks. I had some fun with Bloodborne, but ultimately I don't think these games are for me. They're still really well-made, though. Hmmm, wonder how it runs on your standard PS4, although I don't see any excuses of why it can't be a solid 60 FPS. And no added features on this one, or other non-cosmetic changes from the original? DLC included too? @LaNooch1978 Its NOT a lazy remaster at all - considering even a high-end (1080 Ti) modern PC can't run the original code at 4k/60 in areas like 'Blight Town' so a lot of work had to be down with the coding - especially for the consoles. Its not a case of just port it up, change the resolution and cap it at 60fps now which is a 'lazy' remaster. It's not a remake either so its not like Shadow of the Colossus or Crash Bandicoot. Personally I am not a fan of the Souls games but having seen a very high spec PC try to run the original and fail to keep to 60fps+ in some areas (CPU bottlenecks), its clear that a lot of work had to be done under the hood to run on Console level CPU's at such consistent frame rates - even the base consoles (which can and do drop frames) run incredibly well (albeit at 1080p) with a few 'minor' drops. Like I said, its not a straight port visually with better and more realistic lighting, shadows etc and 'portals' have a different Aesthetic too. As the review states, character models are improved as well as armour and weapons. The only thing that appears not to be vastly different is the environment and buildings but you do get better lighting, shadows etc on those so it is some improvement. The easiest thing would have been to just port it up and raise the cap to 'cash in' on the franchise but considering even a high end PC runs the original game worse than much lower spec consoles run the remaster, it shows that most of the work probably took place under the hood. @BAMozzy Yeah. Lazy was probably not the right word. I think I was expecting something more akin to Shadow of the Colossus in terms of the effort lavished on the project with it being such a well beloved classic that everybody bangs on about.Just as an afterthought shouldn't Push Square review games on launch PS4s with the PS4 Pro benefits included in a sidebar or something? The majority of people still play on the original hardware so rattling off how good the framerates are on the Pro is useless information for them. @BAMozzy Kinda reminds me of FFXIII-2, which has no version that runs well either...the PC port can't even hit a solid 30 FPS at 720p, low settings on my Ryzen 1800x / GTX 1080 / 16 GB DDR4, lol. Getting a badly optimized game to run well is impressive, but then again they shoulda had it optimized in the first place! It's great to have Dark Souls on PS4, but what I really want is Demon's Souls. @LaNooch1978 I definitely wouldn’t describe it as lazy! I think QLOC was more interested in keeping it as close to the original as possible to keep fans happy. Fair enough, but I think many will be a bit disappointed it isn’t up to the same standard as remastered like Shadow of the Colossus. I’m also a bit sad Bluepoint didn’t get the job! @smelly_jr Unless you count improved visuals and multiplayer as an extra feature, there’s little new. @BAMozzy Your summary nails it sir! That’s what you’re getting. Wanderer, Sunlight Straight Sword, Black Bow of Pharis. Can't wait to play through this again. Best of the four souls games (not counting Bloodborne) by a mile for me. Nothing has come close to seeing Anor Londo for the first time, or finally beating O&S. Must say I'm almost jealous of those who've never played it. Can't wait til Friday! @LaNooch1978 The difference is that SotC was given the HD treatment for the PS3 and probably had to be 'rebuilt' for PS4. Same for Crash Bandicoot. They could have 'rebuilt the game and it probably would have run at 30fps (a la Bloodborne) but that doesn't mean that they didn't have to work hard to ensure it ran better as well as improve visuals (not just resolution) to bring the 'original' game as it was to the newer consoles. There was criticism over DS2 (I think - not being a fan, I don't know which DS game for sure) because they changed some things so it was probably more important to keep it as 'close' to the original experience but with the better frame-rate, lighting etc too. @smelly_jr Its NOT that simple.Some games are built with specific generational hardware in mind. Quite a lot of older games don't run that well on modern hardware because they were not built for multi-threaded CPU's. A number of devs also build games that 'far exceed' the best hardware on the market - you can see this today as a LOT of releases cannot run at the highest level on the 'best' hardware available. Back when a lot of these games were built, there was a no such thing as multi-threading for example and it was expected that CPU's would continue to improve - especially in terms of speed. It was expected that core speed would advance and these games were built with expectation that a single core would improve the game . The XB360 had a 3.2ghz CPU in it yet the XB1 has a 1.75ghz CPU. Games like DS1 only utilises around 2-3 threads on a multithreaded CPU because they were designed for low core but higher clock speed CPUs. All it takes is for 1 thread/core to be maxed out and the game 'bottlenecks' - this is what happens with the original DS1 on PC today. Clock speeds haven't significantly improved - which would mean that a core can do more calculations per second and therefore not 'bottleneck'. Nowadays though, workload is not put on a single core/thread' but can share the workload across multiple cores or threads. Usually the heaviest workload a CPU has to do is tell the GPU what to draw and the more objects or greater view distances, the more it has to command the GPU to draw. This was always assigned to a single core/thread and as the speeds (the amount of calculations it can do per second) hasn't increased that much in the past 10yrs, its why old games have the similar problems - despite significantly better GPU/CPU's. Nowadays, a CPU can share the workload across several threads/cores. Roll on Friday, it's gonna be the longest two days ever. Looking forward to going back into Sen's Fortress, one of my favourite designed levels in any game. Also taking on Sif, the great grey wolf again, my personal favourite boss. @viciousarcanum nailed it. Saving the best for last, maybe? @BAMozzy Ah, gotcha. Some of that sounds familiar, actually, when I was reading about why I couldn't get games to run very well on my older PC (before I got a new one). Ever since I got a new PC, I've just been able to max-out EVERYTHING no problem, so I guess I've been spoiled LMAO. I need to get this eventually. I want to play the Dark Souls trilogy to get all the story. I've played Bloodborne so that would help me start, but I'll keep your warnings in mind. Totally worth the $20 on Steam, don't know why it released early. Game is very shiny, fans of the original should feel right at home. Sounds good but I'm a little souls'd out after recently playing through Nioh and putting some hours into DS3. Pre ordered and picking my copy up Saturday. 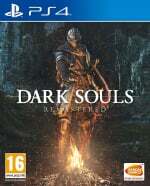 I'm relatively new to souls games, I've only played bloodborne and ds3 but can't wait for this!! Blight Town's awful level design was more annoying than the frame rate issues. But on the plus side, this game mainly rocks, so presumably, it rocks in remastered form now. This will be my first run through Dark Souls and I can't wait. I didn't get on with Bloodborne at first, but then downloaded it again when it was on PS plus and had an epiphany. It's now one of my favourite ever games, so I'm hoping I'll enjoy this as much. Good to see they fixed Blight Town, I had my doubts on that part. My favourite Souls game due to the way they managed to interconnect the world, it was always a happy surprise when you found an area had looped back around to familiar ground. I hope some new people get to enjoy this game due to this remaster. Having said that, this is not for me. I've played the game through multiple times and there seems little reason to move to this version, given I have it already on both the PS3 and PC. If they'd given some of the later areas the proper remaster treatment and made them feel finished and maybe changed enemy placement a bit to make it feel a little new, then I probably would have been swayed. This seems too little of an update for anyone who has already played through the game and has access to it elsewhere. I'm disappointed that this is 98% the PC version, 1% bug fixes, .5% quality of life improvements and .5% new bugs. Still pre-ordered, though. One of the best games ever made. One plus point to this release that people tend to overlook is how (for a few months at least) there'll be 100,000s of players online rather than zero on last gen console and about 12 (including 10 hackers) on the PC version. Dark Souls 3 still has that jankiness. I've been hit or killed through the floor several times. In Bloodborne I've been killed by invisible giants twice. I once dropped down off a ledge only for a group of enemies to spawn around me as I landed. (I have vids of this stuff - and more weirdness). Jankiness is in their very DNA. @smelly_jr Hopefully we will get a FF13 Trilogy PS4 release in the next year or so...it's been rumored for awhile but no credible sources. @ToddlerNaruto that would be amazing...I mean, it must’ve sold well if they made THREE games in the series. Quick cash for SE in-between the next Tomb Raider and Kingdom Hearts 3! @RegularGameFan If you have a PS3 then I can understand you feeling that way – it's a much nicer version but maybe not worth it if you already have the game. Those that only have a PS4 though will definitely appreciate the remaster, and I count myself in that category. @smelly_jr Exactly, they'd be foolish not to make such east money! I'm hoping for a surprise announcement sometime in 2018 or 2019. @johncalmc I just finished Blighttown last night, and I can't exaggerate how big a difference the framerate was for me. The whole area felt so much more manageable with good performance and the ability to see more than a few feet around you clearly. I've probably played Blighttown a dozen different times, but this is the first time I feel like I have any lasting awareness of how it's put together. The entire area is soooooo much less of a slog than it was last gen.